This is a great video of a man caught on camera throwing dog poop into his neighbors yard in Palm Beach Gardens, Florida. Steve Miller, the owner of the security camera, noticed bags of dog excrement appearing in his bushes in his front yard on a regular basis, so he purchased a surveillance system from a local electronics store in Palm Beach to see how this was happening. Mr. Miller was able to catch over a dozen instances where his neighbor would throw bags of dog crap into the hedge in his front yard while the man was out walking his dog. The camera used by Steve was not purchased from CCTV Camera Pros, but we are still very happy for him and proud to show his successful use of video surveillance for home use on our blog. Steve Miller’s story was featured about a week ago in the New York Times in article written by Kate Murphy. CCTV Camera Pros congratulates Steve on a job well done in implementing a simple home security camera system and capturing the video that he intended to. Well done Steve! Please click the screen above to watch the video of the man caught on tape throwing dog poop in his neighbors yard in Palm Beach Gardens. If you are interested in home surveillance system similar to the one being used in this video, please contact CCTV Camera Pros by visiting www.cctvcamerapros.com or calling 888-849-2288. 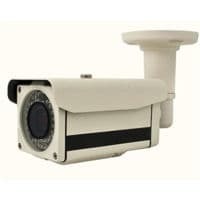 CCTV Camera Pros is a manufacturer and distributor of security cameras, videos surveillance systems, and CCTV equipment. We are a veteran owned small business founded by a United States Marine. CCTV Camera Pros is located in Boynton Beach, Florida and specializes in the design of reliable and scalable video surveillance systems for homes, businesses of all sizes, and local and federal government agencies. CCTV Camera Pros has a complete portfolio of products including, security cameras, digital video recorders, monitors, cables, connectors, and all accessories needed for a complete surveillance system solution. CCTV Camera Pros is partnered with a network of over 400 installers in the United States to provide surveillance system installation to all areas of the USA. Visit www.cctvcamerapros.com. This is awesome! I’m trying to figure out who is letting their dog poop in my yard without picking it up! I need something just like this without spending a ton of money. How much is this system?